WAFFLES: Hey Boss! Is today the day? KATIE: Yes, Waffles. Today's the day. WAFFLES: Do I get to announce all the winners? KATIE: Well considering you can't even COUNT the winners, reading all the names might be a challenge. How about we tell everyone a little bit about this special giveaway first. WAFFLES: Ok, but I want to roll the drums too. Can I roll the drums? And announce the winners? KATIE: Waffles, there's more to this event than just reading off a list of winners and banging on your drum. But yes, you can help. As long as you promise not to mess up anyone's name. WAFFLES: Ok Boss. No messes. KATIE: The GLOGIRLY Giveaway Gala started as a little idea way back in late December between me and Glogirly. 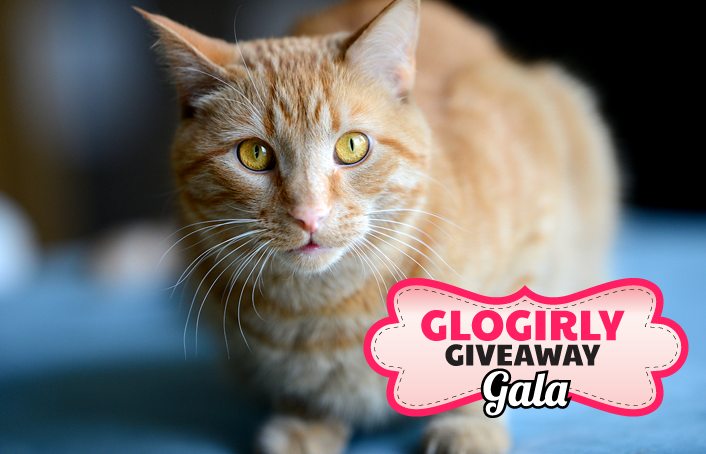 We wanted to do something really FUN and really BIG that would not only help Glogirly get to the BlogPaws Conference, but would be something really special for our friends, readers and their favorite shelters. So we put our idea to paper (virtual paper) and sent it to our most favorite brands. At first we didn't know if anyone would want to join in. But that was ok because even if just one brand liked our idea, we'd be able to have a really cool giveaway and maybe even give something nice to a shelter. So we all crossed our paws. WAFFLES: I remember that! I crossed ALL my paws just like you told me to. KATIE: Well we heard back from one brand, then another, then another. WAFFLES: And another and another and another too! KATIE: Seven of our favorite brands that we've featured here before, seven who make the wonderful products we use and enjoy every single day, said YES! And when they told us about the prizes they wanted to donate...well, I'm pretty sure Glogirly got all leaky-eyed. WAFFLES: Is this where I roll the drums around? KATIE: Go ahead, Waffles. Roll all you want. Congratulations to the winning shelters! Each of these wonderful organizations was chosen by our winning readers. We think giving is even more fun than winning! ...but winning is pretty fun too! And thank YOU! Our wonderful friends, readers & fellow bloggers. Thank you for giggling with us, making us smile and helping us be the best we can be. We are so excited to be one of the winners and thrilled for Purrfect Pals! CONGRATULATIONS - that's so wonderful for all the shelters, *and* the winners! Now, Katie, take Glogirly and go get some rest. You guys must be EXHAUSTED! Yay, yay, yay for all of the lucky winners and shelters. That is so very exciting! CONCATULATIONS EBRYPAWDY, ESPECIALLY THE SHELTERS! And of course, GloGirly for making it happen!! You're a kitteh hero! Concats to all those winners! We think this was wonderful! This was such a cool giveaway! Thank you so much! This was a really fun giveaway. I never thought in a million years I would win the 10,000 meals from Halo. My shelter SweetPea friends of Rutland animal shelter was so happy to hear they were going to be the recipients. I see you let Waffles spell Massachusetts ;) Everyone at the townhouse must be exhausted, now you can all get some much needed rest. ConCatulations tu all da winnews. Dat's vewy 'citin'. Concatulations to all the shelters, and to all the winners! Congratulations to everybody especially the shelters!!!!! YAY!!!!!! Thank you Katie , Waffles and Glogirly too for this wonderful contest. I am so happy to see my shelter's logo on the list of winners. I can't wait to share the post to show everyone who won the incredible prizes that were donated by some incredible sponsors. That was such a fun contest! Congratulations! What a great month for everybody: awards, loot, shelter donations, and lavish giveaways. Thanks to all of you and those great sponsors. And how wonderful for those winners and especially the SHELTERS that won!!!! Concatulations to all of the winners!!! They must be very excited. We think it is so wonderful that so many shelter kitties will be getting prizes too. I'm so excited that all those WONDERFUL shelters are getting helped! You've got some pretty pawesome sponsors. Thank you to Glogirly and all the pawsome sponsers for having this amazing giveaway! I can't wait for my wand toy prize to arrive. I know the kitties at the Foothills Animal Shelter are going to love their wand toy prize, too. That was a super big win for everyone including so many shelters who I'm sure were super excited by the news! Woo hoo way to go everyone...and especially you Katie cuz we know it was your idea. 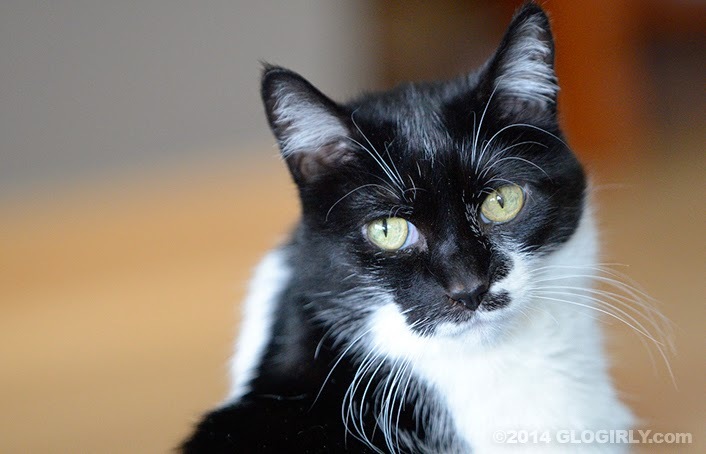 Concatulations to all the people, kitties and shelters who won..Thanks to Glogirly, Katie and Waffles for doing this awesome contest..A special thanks to Waffles for that awesome drum roll! Thank you for hosting such a fantabulous giveaway!!! Concats to the winners and the Shelters! Concats to all those wonderful shelters! And thank YOU! Congrats to all the winners and shelters. Hooray for the winners and for you all at Glogirly! This was the BEST GIVEAWAY EVER! Thank you, Katie, Waffles and Glogirly...and all the sponsors. And congrats to all the winners...'specially the shelters. concatulations to all of the winners! awesome, spectacular, stupendous contest!! great job waffles for not letting the "cat out of the bag". That is so amazing - Katie, Waffles, and Glogirly are tastemakers and they made good things happen for animals. Hooray!! 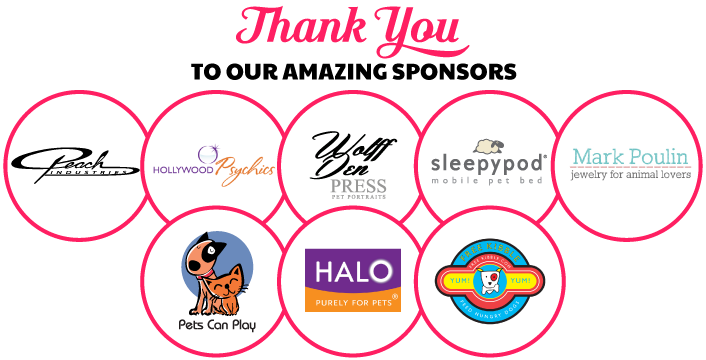 What a fantastic thing you have done….it's heartwarming to see all those shelters that will benefit from your creativity and generous heart for animals that led you to create this whole amazing gala of giveaways! And Wubbikins and I say thank you….we are very excited to win the beautiful Mark Poulin Mother - Daughter Necklace Set!